Phonographic Copyright (p) – Minos-EMI S.A. Copyright (c) – Minos-EMI S.A.
(P) (C) 2002 Minos-EMI A.E. Track 1 was the entry of Cyprus for the Eurovision Song Contest 2002. Track 3 is the Greek version of track 1. Comes in slim jewel case with 4-page insert. 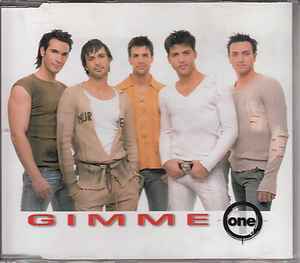 Track 3 "I Can't" is the greek version of "Gimme"